What is the treatment for shingles in pregnancy? What are the complications of shingles in pregnancy? What is the outlook (prognosis) for shingles in pregnancy? Can shingles in pregnancy be prevented? Shingles is a painful, blistering skin rash that results from reactivation of infection with the varicella zoster virus (VZV), the virus that causes chickenpox. The rash of shingles can be extremely painful and typically occurs over the area of one nerve. Antiviral medications are used to treat shingles. These drugs are safe to use in pregnancy. Other medications to manage shingles can include acetaminophen (Tylenol and others) for pain relief or antihistamines for itching. Complications from shingles occur most often in older adults and are less common in pregnant women. Shingles in pregnancy typically heals without long-term problems for mother or baby. Shingles is a painful skin rash caused by reactivation of prior infection with the same virus that previously caused chickenpox, known as varicella zoster virus (VZV). 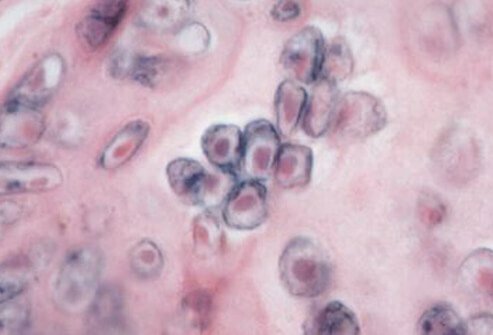 VZV belongs to the herpes family of viruses, but it is not the same virus that causes genital herpes or cold sores on the mouth. When a person is infected with VZV in childhood, they typically develop chickenpox, but after the illness resolves the VZV remains in a dormant state in the nervous system and is never fully cleared from the body. Under certain circumstances, such as emotional stress, immune deficiency (from AIDS or chemotherapy), or with cancer, the virus reactivates and causes the skin and nerve inflammation known as shingles. Shingles occurs most commonly in people over the age of 60, but anyone who has ever had chickenpox is at risk, including pregnant women. It has been estimated that up to 1,000,000 cases of shingles occur each year in the U.S. The hallmark symptom of shingles is a painful, blistering rash. Pain from shingles may be severe in intensity. The pain, or a tingling sensation in some cases, may precede the development of the actual rash, making the cause of the pain hard to ascertain. Small blisters form on a red base, and new blisters continue to appear for 3 to 5 days. The rash follows the path of individual nerves, and typically presents in a band-like pattern on one side of the body. After the blisters rupture, they begin to crust over and heal. The entire outbreak from onset to healing takes about 3 to 4 weeks. Fever, headache, chills, and nausea can sometimes accompany the painful skin rash. The characteristic rash of shingles typically suggests the diagnosis, and in most cases, no specific diagnostic tests are required. In cases in which there is pain but no apparent rash, the diagnosis can be very difficult. Laboratory testing to detect the genetic material or surface proteins of the VZV can be used in atypical or difficult cases. Treatment for shingles is generally prescription or over-the-counter antiviral, pain, and antihistamine medication. The prescription antiviral medications typically used to treat shingles are safe to take during pregnancy. These drugs include acyclovir (Zovirax), valacyclovir (Valtrex), or famciclovir (Famvir). Antiviral medications can reduce the severity and duration of the rash if started early (within 72 hours of the appearance of the rash). Pain medications, such as acetaminophen, can also be used for pain relief, although these will not affect the progression of the blisters and rash. Pregnant women should discuss any pain relief medications with their health care professional. Pregnant women should not take nonsteroidal anti-inflammatory medications (NSAIDs) like ibuprofen (Advil, Motrin, Nuprin, etc.) late in the pregnancy. Antihistamines such as diphenhydramine (Benadryl) can help reduce any associated itching. Other home remedies for itching include oatmeal baths and calamine lotion. Many women find that applying cool cloths or compresses provides relief as well. Keeping the affected areas covered with clean gauze and wearing loose clothing can help speed healing and prevent secondary infection of the affected skin. Postherpetic neuralgia is the most common complication of shingles. This condition develops in about 20% of people who have shingles and is characterized by persistent pain at the affected site after the rash has disappeared. It goes away by 4 months after the initial rash in most people. This complication is less common in pregnant women since it rarely occurs in people under 40 years of age. Postherpetic neuralgia is more common in people over 60 who do not receive treatment for shingles. Shingles that affects the eye is another uncommon condition. It is essential to see a doctor if you develop shingles around the eye area. In very rare cases, the virus can spread to the brain and membranes around the central nervous system. Other potential complications include hearing or balance problems and weakness of the muscles on one side of the face, known as Ramsay Hunt syndrome. All of these complications, like postherpetic neuralgia, are more common in older adults and affect pregnant women less commonly. Sometimes, secondary bacterial infections develop at the site of the rash. These can be treated with antibiotics, and antibiotics can be chosen that are safe for use in pregnancy. Most cases of shingles heal without a risk of serious complications or long-term problems. If you have had chickenpox in the past, you have been infected with the VZV and there is no absolute way to prevent shingles. However, you cannot catch shingles from someone else who has shingles or chickenpox if you have had chickenpox or have immunity to the chickenpox virus. However, pregnant women who have not had chickenpox may catch chickenpox from someone with shingles or chickenpox. Chickenpox infection during pregnancy can be dangerous to the unborn baby, so it is important to avoid contact with people with shingles or chickenpox if you have not had the condition or the vaccine. Children in the US today are typically vaccinated against the VZV (chickenpox vaccine). A vaccine to prevent shingles (Zostavax) is also available that reduces the incidence of shingles by about 50%, but the vaccine cannot be taken by pregnant women. Women who receive the Zostavax vaccine should wait at least 3 months before attempting pregnancy. "Shingles (Herpes Zoster)." CDC.gov. Updated Aug. 19, 2016. Is shingles contagious? Shingles (herpes zoster virus) is a painful, contagious rash caused by a virus. 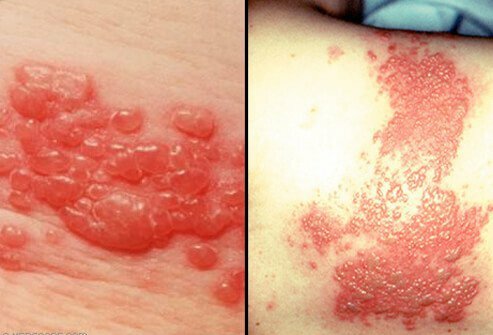 See what the shingles rash looks like and learn about vaccine information. Please describe the symptoms that led to a diagnosis of shingles while you were pregnant. How did you treat shingles pain and itching during your pregnancy? How did you prevent the risk of shingles during your pregnancy? Please describe your experience with shingles during pregnancy. If you were prescribed antiviral medication for shingles during pregnancy, what was prescribed and how effective were they? If you were prescribed pain medication for shingles during pregnancy, what was prescribed and how effective were they? If you were prescribed antihistamines for shingles during pregnancy, what was prescribed and how effective were they? What complications did you experience with shingles during pregnancy? Shingles is an infection caused by the varicella-zoster virus. Shingles symptoms and signs include skin burning, numbness, and tingling along with a painful red, blistering rash. Shingles is contagious until all of the blisters have crusted over.